Julian Jabre, Supernova, Suzanne Palmer, Baby Gee & Chris Arnott, Chris Lake & Marco Lys and more. My name is Mike Bugout & I&apos;m from New York, USA. I&apos;ve been a huge fan of Axwell & SHM for years. Miami is a special place and I have been going to WMC since 2000. I remember seeing SHM at a small club called Ink in 07. 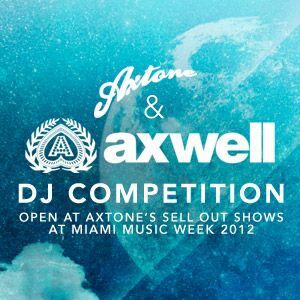 Axwell has always been a big inspiration to me. I have opened for Avicii, Dirty South, Steve Angello, AN21 & Max, Laidback Luke, Chuckie, and recently Steve Aoki on his US Tour. I know & understand the importance of a great opening DJ to set the tone for the headliners. My mix is a 30 minute version of how I would open for these parties based on the lineups, with a little bit of everything gradually bringing up the energy. I&apos;ve worked hard and have had many great accomplishments so far but to open these parties and meet some of my favorite DJs in Miami would be a dream come true. Thanks for the consideration. it&apos;s a shame that u did not made it to the final 8 ... Great set anyway!